I got my first pimple on my face when I was 14 years old. I was in class 9. My friends told me that I was not a boy anymore and I had become a man. For a long time I was under the impression that when a boy gets his first pimple, he has attained his puberty. When I was in my late teens, my face had so many pimples that I looked like a man whose face was pecked by a woodpecker. Hormonal changes and consumption of oily junk foods added fuel to my pimple filled face. Luckily for me when I was done with my college life, the pimples had disappeared; but they left their mark on my face for a few years. Now I get a pimple once a year. When I get a pimple, others might just see it as a small dot on my face. But I would feel as if a big pumpkin is hanging on my face. 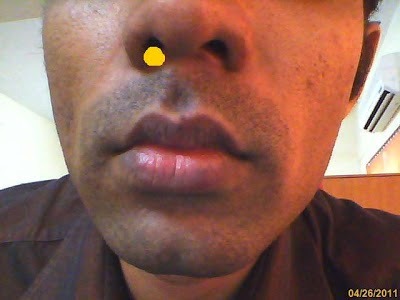 I get that yearly pimple during the month of may especially when Chennai is fried by the hot sun. The pimple I get on my face rents itself between my nose and my upper lip. It usually disappears in two weeks. But at times, it stays there for a long time without paying any rent. I have tried many creams on my face to tackle pimples. When I was in my teens my parents used to give me a tablespoon full of neem mix once in three months. They fooled me saying that eating neem leaves will cure the pimple problem. But it just kept my tummy clean. But the face still had pimples. 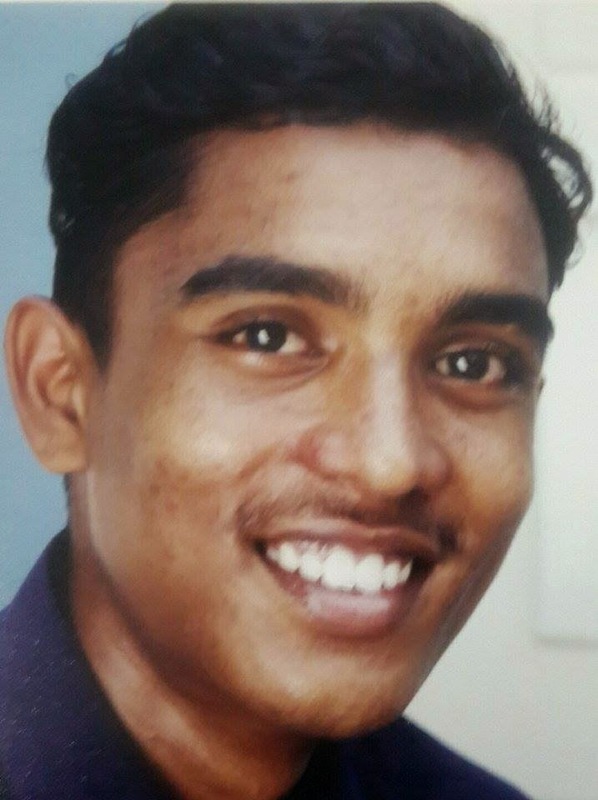 All the photos of mine during my college days does not give me good memories because of the presence of pimples. In fact if a blind man had touched my face, he would have mistaken it for braille. An old legend says that those who are stressed have more pimples on their face. So a group of people advocate stress free living as a cure for pimples. But that does not solve the problem either. As long as we have a clean face that resists the growth of pimples, we will have a pimple free face. The day before I got married, I got a pimple between my nose and my upper lip. I never expected that pimple to sprout out especially a day before the big day. I pierced it, squeezed the puss out and applied base on my face so that it was not evident that I had a pimple. Photoshop also came to my rescue and my wedding photos do not reflect the pimple I had on my wedding day. Now let me come to the crux of this post. I am going to tell you a wonderful solution for your pimple problem. Recently I stumbled across Garnier Pure active neem face wash [ link ] in the supermarket where I shop for my monthly provisions. At first I did not think of buying the product; but as I am a loyal customer of garnier shampoos, I decided to check the ingredients of Garnier neem face wash. The first thing I always check in a face wash is for the presence of comedogenic ingredient in it. If the facewash has comedogenic ingredient I would not buy it. Any facewash that is high on comedogenic content will only help in multiplying the pimples on the face. 4) Jovees Tea tree oil control face wash. These face washes cause more pimples because of high percentage of comedogenic ingredients in it. Not all the face washes that make your face oil free, fight pimples. Garnier Pure active neem face wash has only one comedogenic ingredient - Sodium Laureth Sulphate. SLES with a chemical formula C12+2nH25+4nNaO4+nS will not cause more pimples (I am just showing off here to let my readers know that I know what I am talking about in this post). I decided to go ahead and try this face wash. When I tried this face wash, I realized that it was an entirely different face wash. I do not have pimples these days. Still I use this face wash everyday because I am a sucker for certain fragrances. I use Fiama di wills shower gel for my body and I always dab my body with Davidoff cool water spray. This combination has become the aroma that I spread these days. If you are searching for a solution for your pimple filled face, just try Garnier Pure Active neem face wash. I am sure that you will come back to this post and say "Thank You Chriz"
Note: On public demand, I am adding a picture of the pimple that appeared a few months before I got married. I have censored that portion of the nose where the pimple is located. You must be 18 years or more than that to have a glimpse of it. If you wish to have a look at the pimple please shoot a mailto prason@chronicwriter.com along with a donation of USD 1033 (Inclusive of Value Added Taxes). Part of the money would be used to buy clothes for Poonam Pandey. You might have read Stephen King's description of pimples in many novels, e.g. "Thinner" and "Christine" where the description of each pimple in Arnie's pimple-clad face makes interesting (and stomach-upchucking) reading.